The Philippine Amusement and Gaming Corporation (PAGCOR) one of the main gaming regulators in the country has found it difficult to stop offshore iGaming operators from offering their services to Filipinos. PAGCOR started issuing online gambling licenses in 2015 but does not allow locals to gamble at these online casinos. However that hasn’t prevented offshore operators from targeting Filipinos as they have proven to be a very lucrative market to iGaming operators. Filipinos have no problem accessing these offshore online casinos and some Filipino players admit that they have opened accounts with more than 20 online casinos. One of the reasons for this is because most online casinos offer new players special welcome bonuses often giving out ‘free money’ and ‘free spins’ as a way to get them to sign-up for an account and try out their online casino offerings. However this ‘free money’ and ‘free spins’ are not really free as they usually have wagering requirements attached to them. The average Filipino struggles economically and is lured by the offshore online casinos who promise them an opportunity to get rich while gambling from the comfort of their homes. PAGCOR is aware that their citizens are being targeted by offshore casino operators but as of now are unable to take much action and prevent this from happening as they don’t have the infrastructure, technology and resources to prevent this from happening. Filipinos are also able to download these offshore casino apps on to their smartphones and gamble while on the move. While Britain, Ireland and Netherlands are complaining about a problem gambling epidemic, the Philippines does not have any reliable data tracking in place to know just how much of a problem ‘gambling addiction’ in the country really is. There are also no restrictions on gambling advertisements in the Philippines. When it comes to numbers, it will always be under-reported. It’s online, which means nobody can track them. And then there’s a thin line between gambling online or physically as a leisure activity, as compared to substance addiction. Dellosa also pointed out that it is difficult for online gamblers to realize they have a problem because their gaming activity takes place in an environment that provides both fun and excitement. 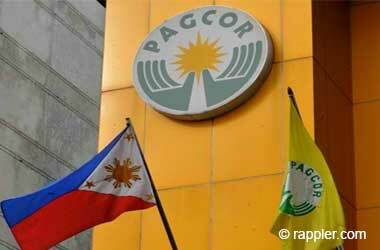 PAGCOR states that it does not have the authority to fully crackdown on these offshore provides and can only provide incident reports to the Philippine National Police and the Office of the President.